The BMW i8 – Ushering in a New Era of Sustainable PerformancePriced from $135,700 in the US. Today at the 2013 Frankfurt Motor Show, BMW unveiled one of the most widely anticipated cars in its history – the BMW i8. 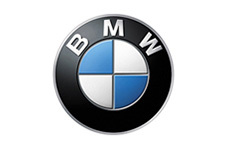 The present and future of driving pleasure converge in the new models presented by the BMW and BMW i brands at the International Motor Show (IAA) 2013 in Frankfurt am Main. Transmission information BMW Group Press Conferences and Novelties at the 2011 Frankfurt Motor Show. World premiere: BMW i3 Concept and BMW i8 Concept. Lord Mayor Petra Roth and Dr. Norbert Reithofer open BMW Group Junior Campus at Frankfurt International Motor Show (IAA). BMW proudly presents the future of Sheer Driving Pleasure: Innovations for the ongoing reduction of fuel consumption and emissions together with a further increase in driving dynamics and performance. This is the company’s seventh report, highlighting its achievements, challenges and goals in the field of corporate sustainability. The BMW i8. Driving shots. The BMW i8. Exterieur Design. The BMW i8. Interior Design.